Multiple reports suggest that iOS 12 may have a bug, causing periodic and random problems with devices that are not charged when connected to a power source or placed on a wireless charging station without user intervention. At Apple's discussion forum, there are currently 108 users who are responding to a possible problem with the iPhone XS or iOS 12. The error occurs when the user connects a Lightning cable to the charging port using a regular wall charger, or the device on a Qi charging pad. Usually the iPhone functions as expected and immediately starts charging the phone. Occasionally, users who connect the phone will not receive a charging symbol nor the noise that the device plays when it is being charged. Some users could have the phone start charging by plugging in the power cord, waiting between 10 and 15 seconds, and waking up the phone but not necessarily unlocking it. "If I have not had contact with the phone for some time, it no longer responds to a charger that is connected," said a user. "But if I remove the plug from the socket and lift it up and use it, it will recognize the charger." UnboxTherapy tested a number of iPhone XS devices in the studio and discovered that they could repeat the problem. They tested nine separate iPhone XS and XS Max phones and were able to prove the problem a few times. 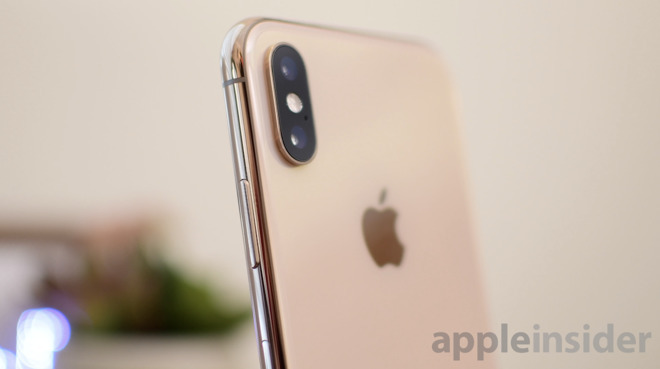 However, AppleInsider the problem has not yet manifested with an iPhone XS Max, iPhone X or iPhone 8 Plus with iOS 12 connected to USB-A to Lightning or USB-C to Lightning connected to a computer, a wall adapter or someone else from different Qi-charging pads . However, an iPhone 7 and 12.9-inch first generation iPad Pro have both manifested the problem once during a number of tests on Saturday night. The problem may be related to USB-restricted mode, a feature that Apple has developed to secure data on the phone against devices that attempt to download data from a phone for law enforcement or for ill-fated purposes. USB-limited mode should not interfere with a simple wall charger, but the interaction that users notice, lifting the phone to charge it after it has been idle, seems to be related to the need to unlock a device to get it to connect via Lightning to a peripheral device. The problem can also occur elsewhere. Belkin has confirmed that its original PowerHouse and Valet charging docks are not compatible with the iPhone XS family. Users who try to use these devices notice that the iPhone simply does not charge when placed on the device. Belkin has noticed on the product page that the devices are not compatible with the iPhone XS family, or the upcoming iPhone XR -but has not explained why. AppleInsider has contacted Apple for comment on this issue.